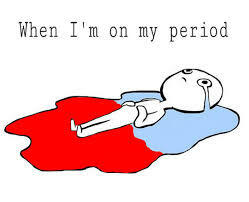 Girls who faint at the sight of blood must have a really big problem once a month. One gets over it eventually, instead of fainting very time. God, that must be awful! Looool! I love this blog! Ooh, stop it… Just kidding, keep the compliments coming.